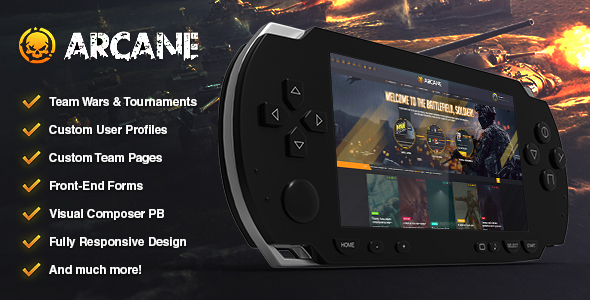 Arcane gives you the power to create massive gaming communities. Users can create teams and tournaments and challenge each others, keeping track of the matches, share content and much more! Full buddypress support, create your own community! bbPress ready, create your own community! Please note: the images that can be seen in the preview images will not be included in the download. These are for preview purposes only. If you love it, please donâ€™t forget to rate it!